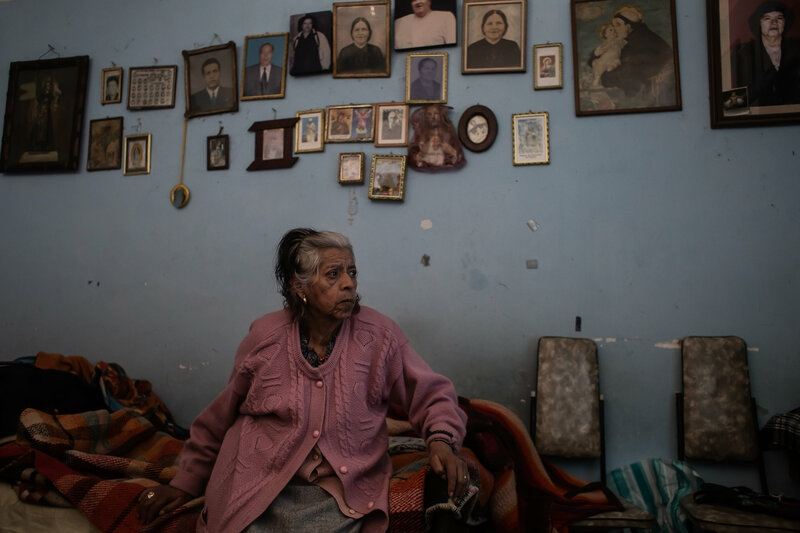 LA HIGUERA, Bolivia — Irma Rosales, tired after decades of tending her tiny store, sat back one morning with a box full of photos and remembered the stranger who was shot in the local schoolhouse 50 years ago. His hair was long and greasy, she said; his clothes so dirty that they might have belonged to a mechanic. And he said nothing, she recalled, when she brought him a bowl of soup not long before the bullets rang out. Che Guevara was dead. Monday marks a half-century since the execution of Guevara, the peripatetic Argentine doctor, named Ernesto at birth, who led guerrilla fighters from Cuba to Congo. He stymied the United States during the Bay of Pigs invasion, lectured at a United Nations lectern and preached a new world order dominated by those once marginalized by superpowers. His towering life was overshadowed only by the myth that emerged with his death. The image of his scruffy beard and starred beret became the calling card of romantic revolutionaries around the world and across generations, seen everywhere from the jungle camps of militants to college dorm rooms. 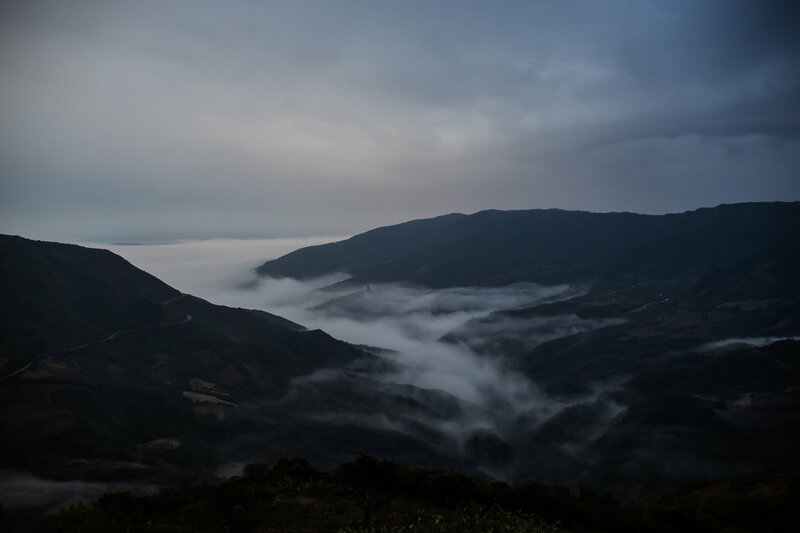 Yet the villagers of La Higuera, Bolivia, who lived through that time, tell a story that is far less mythic, describing a short, bloody episode where a forgotten corner of this mountainous countryside briefly became a battleground of the Cold War. It was not long after Guevara and the other strangers with him first appeared in the area, promising equality, that the guerrillas were dragged away in pools of their own blood, recalled Ms. Rosales. 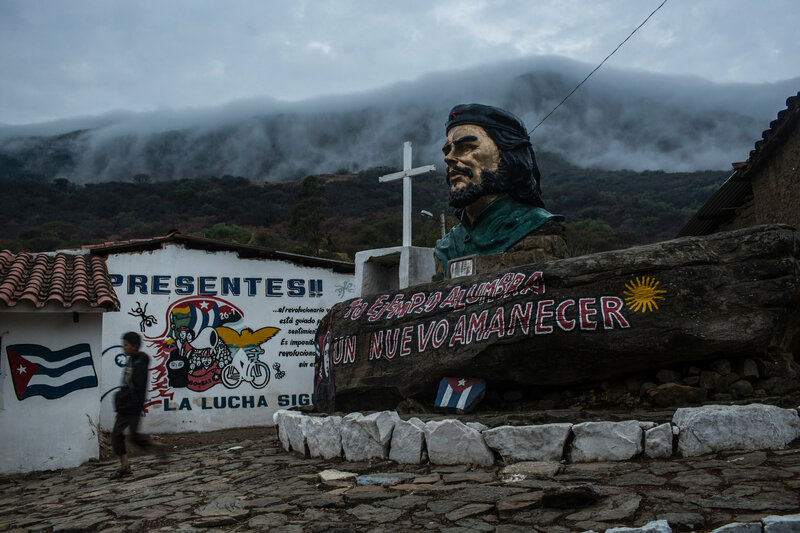 As Latin America remembers Guevara’s death, the region also faces a larger reckoning with the same leftist movements that drew on him for inspiration. 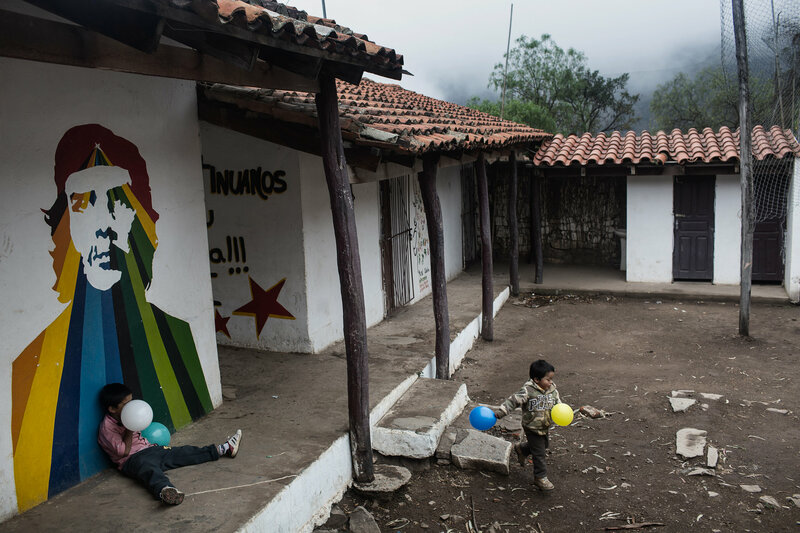 The Revolutionary Armed Forces of Colombia, the region’s largest remaining guerrilla group, came out of the jungle and gave up its arms this year in a war where no one won but Colombia lost more than 220,000 people. The Socialist-inspired movement of the late President Hugo Chávez of Venezuela led to gains in education and health care, but the country has sunk into hunger, unrest and dictatorship. Even Cuba, which for years proudly lived under the revolutionary banner hung by Guevara, now faces an uncertain fate as a détente reached with the United States unravels under the Trump administration. Bolivia is one of Latin America’s last democracies where leftists remain in control, and it is difficult for political movements to thrive in such a vacuum, one of the country’s leaders said. “You cannot prosper or sustain yourself over time if you do not have the victories and struggles in other places,” said Álvaro García Linera, the vice president of Bolivia. Jon Lee Anderson, who wrote a biography of Guevara and was key to discovering his remains — they were hidden by soldiers until the 1990s — says both Guevara and the left hit such low points before. In the years before his death, Guevara’s whereabouts was a global mystery. After having overseen the firing squads that followed the Communist victory he helped secure in Cuba, and after a stint running the country’s central bank, Guevara suddenly vanished in 1965, sent by Fidel Castro to organize revolutions abroad. He was dispatched on a failed mission to Congo, then bounced between safe houses in Dar es Salaam, Tanzania, and Prague. Loyola Guzmán, a Communist youth leader in La Paz, Bolivia’s capital, would be one of the first to learn. She received a message one day calling her to Camiri, a small town near the border of Paraguay. She said she had no idea what the meeting was for. Ms. Guzmán is 75 now, but a photo in January 1967 shows her in the flush of youth, in fatigues and a field cap, sitting on a log at a sweltering jungle camp — and next to her is Guevara. “He said he wanted to create ‘two or three Vietnams,’” said Ms. Guzmán, with Bolivia a base for a revolution not only there but in neighboring Argentina and Peru, as well. Ms. Guzmán agreed with the idea and was sent back to the capital to drum up support for the revolutionaries and manage their money. In March 1967, the battle began. Mr. Salazar, the journalist, learned later that month that fighting had broken out between the Bolivian army and an armed group, leaving seven soldiers dead. The reporter was dispatched to the area to investigate, but it remained unclear who the militants were — although it was known they were regularly delivering fatal blows to government forces. Soon afterward, word began to leak out that the ringleader might be Guevara. The army wanted to find and defeat him. Among journalists, “everyone wanted to interview him,” recalled Mr. Salazar. While Guevara was known around the world, his fame did little to endear him to Bolivia’s peasants. And the country had already undergone a revolution the decade before, instituting universal suffrage, land reform and expanded education. During Guevara’s time fighting in Bolivia, not a single peasant was documented to have joined him. Ms. Rosales, the storekeeper who gave Guevara the bowl of soup after his capture, recalled being stunned one day in La Higuera, shortly before Guevara was killed, when one of his guerrillas, Roberto Peredo, known as “Coco,” walked into the building where she was working and asked to use the phone. None of the area’s villagers were hoping for such a visit, as the guerrillas did not have a good reputation. All the men of the town had already fled into the hills, fearing the guerrillas would try to draft them as fighters. 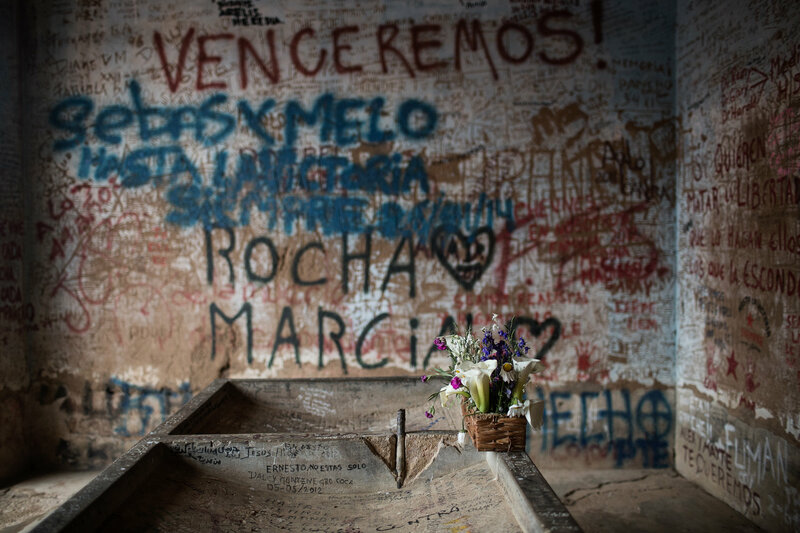 “They told us the guerrillas hit the men and raped their wives, took things, and for that reason, no one waited for them to come,” said Ms. Rosales. The town’s mayor, Ms. Rosales recalled, informed the authorities that the guerrillas had come to town. With tips like the one from the mayor, the army started closing in on Guevara and his band of guerrillas. Among those on the hunt was Gary Prado, then a young officer who had been pursuing Guevara all summer through the mountains. From his study in the city of Santa Cruz, the retired general, now 78, admitted that the army had hardly been prepared for the start of a guerrilla war on its turf. But it was soon being aided by American training and the arrival of agents from the Central Intelligence Agency, which was eager to see Guevara dead. Guevara had earned acclaim for his military tactics in Castro’s victory in Cuba, and he wrote a manual, “Guerrilla Warfare,” that is still used as a guide by insurgents around the world. But he was making mistakes in Bolivia, said Mr. Prado: setting up bases that couldn’t be defended, splitting up his forces and leaving behind photos that the soldiers were putting together as clues. In his last diary entry on Oct. 7, Guevara writes that he ran into an old goatherd, taking her hostage while they asked her about soldiers nearby. “They gave her 50 pesos with instructions not to say a word, but we have little hope she would keep to her promise,” he wrote. On Oct. 8, a firefight began between Bolivian soldiers and a group of fighters. 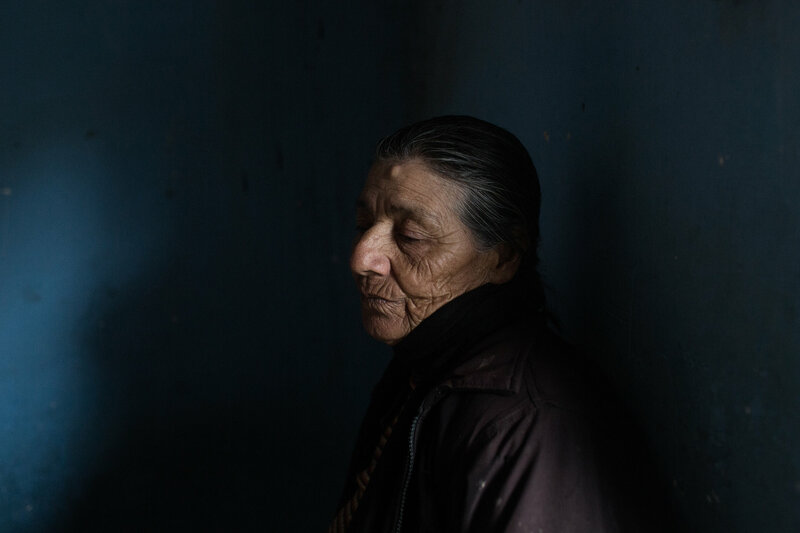 Julia Cortés, now 69, remembers as a young woman hearing a firefight in the distance that day as she approached La Higuera, where she taught in the local school. 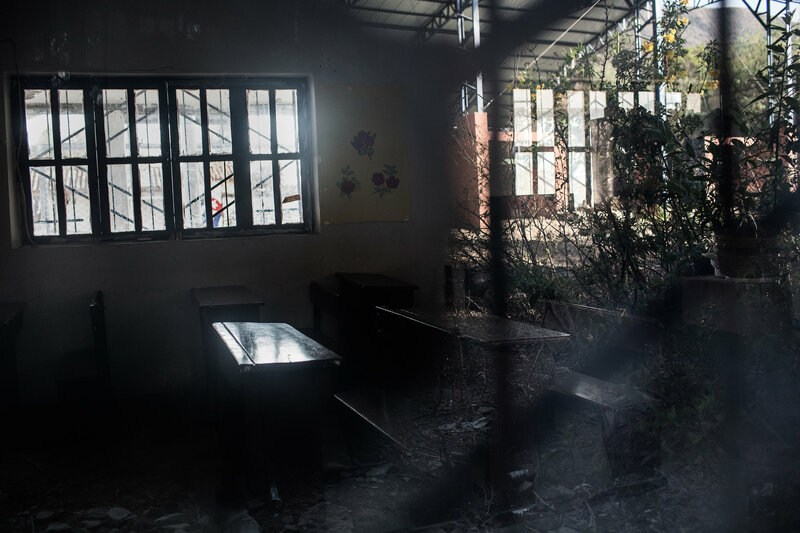 It was to this school that the army brought the captured Guevara, and the guerrilla fighter could barely speak when Ms. Cortés entered the schoolhouse the next day, Oct. 9. He was muttering a few words about the revolution, she said, the one he was losing. “They say he was ugly then, but I think he was incredibly beautiful,” she recalled. Ms. Cortés said she had just returned home when the shots rang out, killing him. Ms. Guzmán, Guevara’s fellow guerrilla, had already been taken into custody by the time he was captured. She did not learn about his death until she found the copy of Presencia in a jail bathroom. In La Higuera after the killing, Ms. Rosales said she remembers seeing Ms. Cortés approaching the schoolhouse to clean up the blood in the classroom.